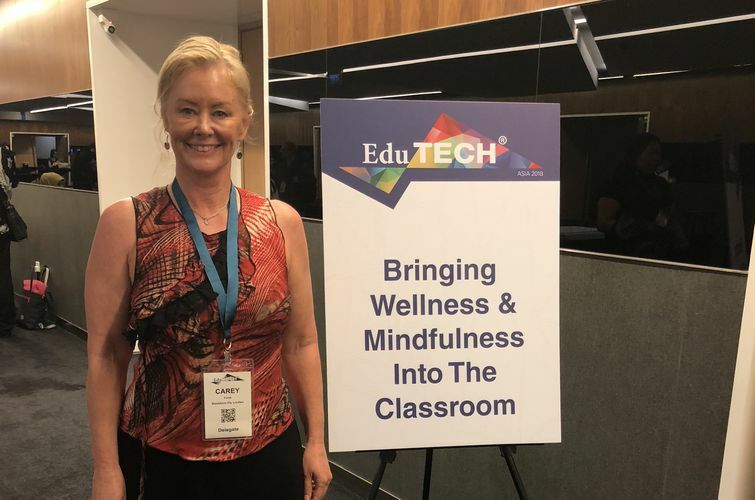 EduTech Singapore collected educators from around the globe to discuss best-practice for future-proofing young people for unknown digital futures and multiple careers. Life-long learning was a common theme, reiterating the need for teachers to accept co-learning environments, where everyone (including the teacher) is open to trialing, failing, collaborating, creating, and technology is a tool to leverage usual abilities. The overwhelming message from all the presenters and educators I saw and spoke with, was that teachers have to give up on being the font of all knowledge, but become a trusted partner/advisor that can guide and scaffold learning for students. Cross-curricular learning projects that developed multiple skills to solve real-world problems was a common thread in every presentation. Students should work on projects based on their own passions, with their peers and in a playful spirit. His company developed the technology Scratch with these principals as the focus. Adrian Lim, Director at Info-communications Media Development Authority (IMDA) Singapore, discussed how his team is getting citizens digitally ready. Preparing both young and old on how to use technology to function in a smart nation and the skills to be developed for the fourth industrial revolution. He spoke about when he was a teacher and the importance of using technology in education to ensure young people are learning not just the technical skills, but also the soft skills required for collaboration and critical thinking. Ken Montgomery, Executive Director and Co-Founder of Design Tech High School, USA. A public high school of 550 students in grades 9-12. Inspired by his past students that had achieved impressive careers and global recognition, he decided to analyse what were the methods he had used with these students. The school fosters student’s design thinking through personalised learning projects that solve real-world issues. With an ethos to develop students who believe that the world can be a better place and that they can be the ones to make it happen. Dr Neelam Parmar, Educational Technology author and Director of E-learning & Innovation at Ashford School, Kent, UK. Dr Parmar gave a very practical workshop on educating students and their families on how to develop a lifelong socially responsible digital footprint and online etiquette: Digital Parenting. Over a third (36%) of children say they have asked their parents to stop checking their mobile devices. Almost half (46%) say it makes no difference when they do so. However, under 10% of parents thought their time spent on devices was concerning their children. 22% of students felt that the use of mobile devices stopped their families from enjoying each other’s company and 82% of children say meal times should be device free. 95% of parents reported that they do not use mobile devices at meal times, but 14% of children said their parents were online at meal times and 42% of them felt ignored or annoyed by it. Dr Phillip Alexander Towndrow, Senior Research Scientist at the National Institute of Education (NIE) Singapore. Gave a hands-on workshop demonstrating the latest technologies enabling the transformation of storytelling from text only to multi-media presentations, using various technology platforms. Dr Adam Cole, Science Coordinator at Sacred Heart College, Geelong told us about the Bradbury Club at his school, where students volunteer to undergo deep learning through long-term ambitious projects, selecting a big problem in their community and solving it through partnership with corporate & academic advisors, research analysis, collaboration and technology solutions. Bookform is an online program for students to engage in intergenerational communication, to collect life stories from their family & community into printable digital books.